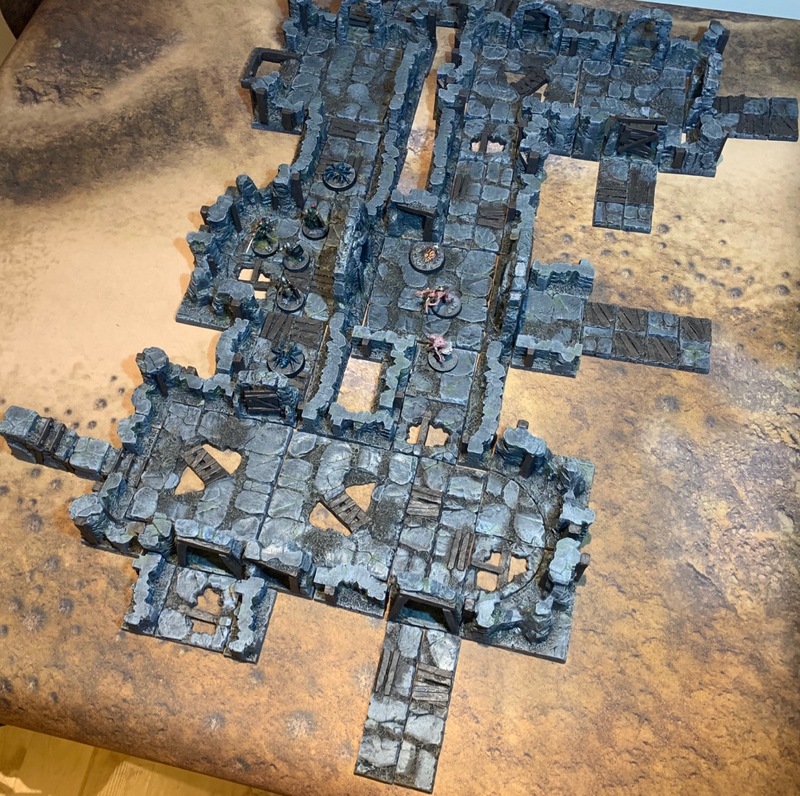 I’ve finished all the base colours on two starter sets of the Tablescapes Caverns and Mines Starter. There is a ton of detail on these pieces – I still haven’t picked out the bats, lanterns, and picts for example, but they are good enough to call tabletop standard which I am focusing on now for the moment. I’d recommend heading over to the Scent of A Gamer’s blog page as the colour scheme he has opted for is much more fetching and has picked out much more detail. 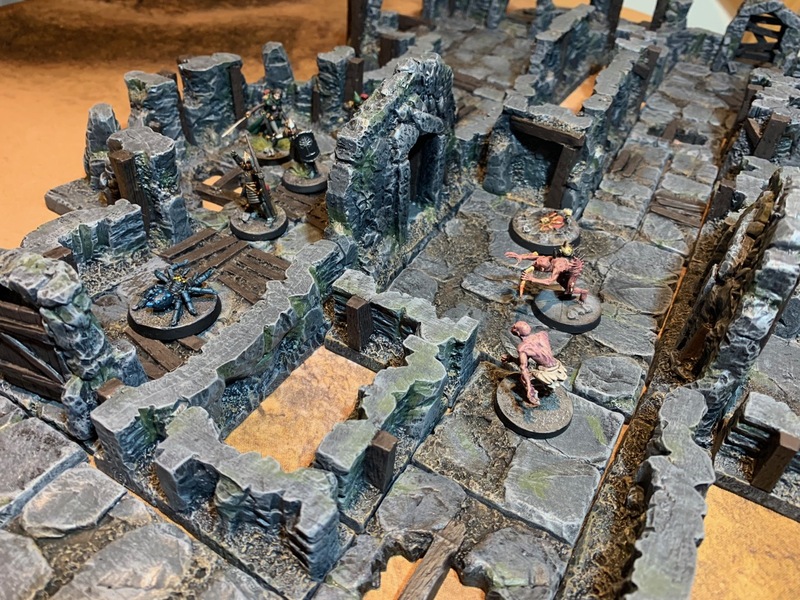 I feel that I could probably do with getting some more in order to be able to make larger and more interesting layouts, but since I only have a very vague idea about using these tiles for Frostgrave, I don’t think I am likely to get enough play out of them to legitimise dropping more money for the moment. 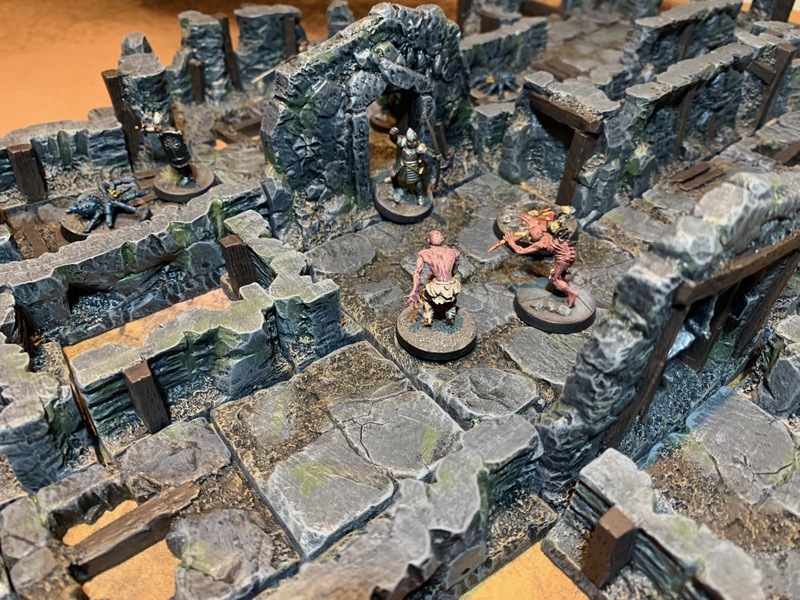 An alternative option would be to get some other manufacturer with some slightly different 1″ square tiles like Stones, DMB Games or Dwarvenforge. 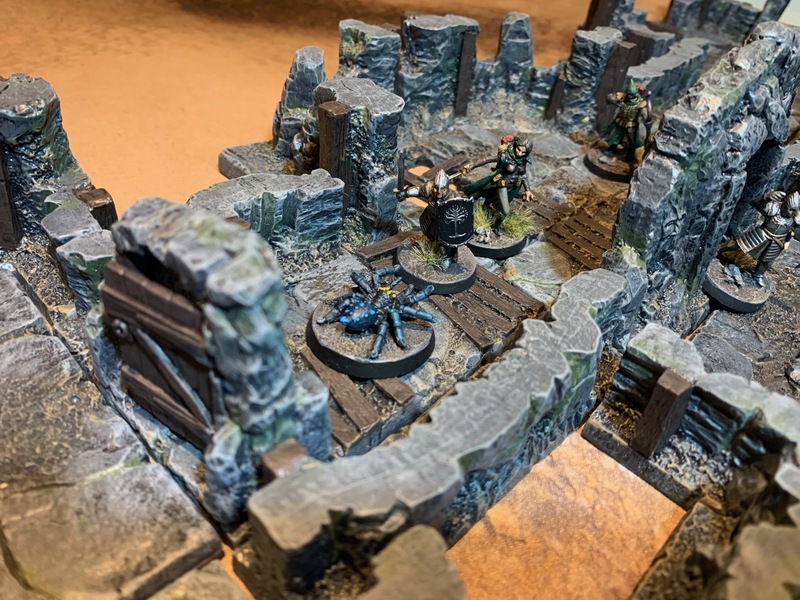 This entry was posted in Terrain and tagged Secret Weapon Miniatures, Tablescapes. Bookmark the permalink.